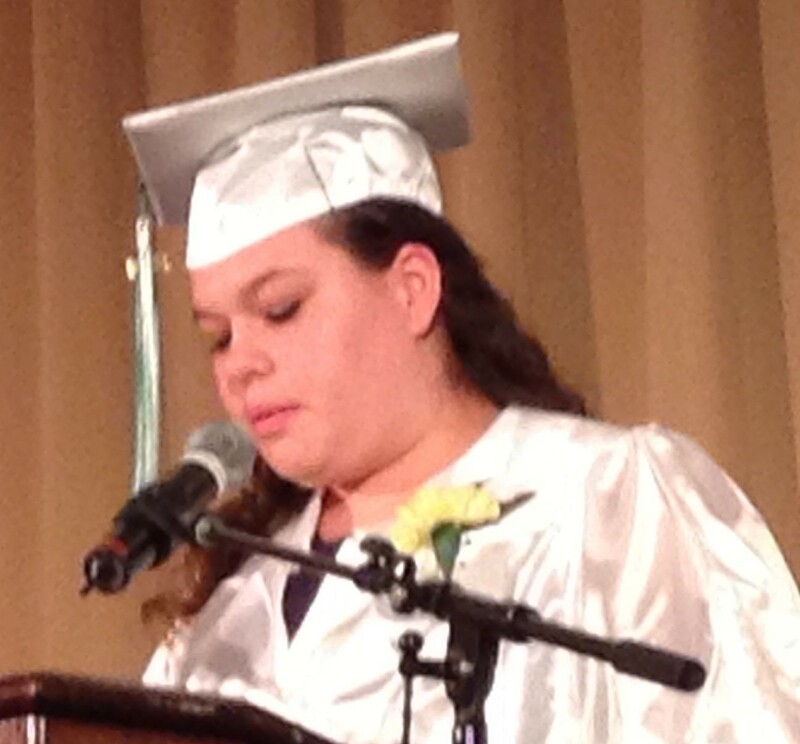 Ashley Prince-Miles gave this graduation speech, the fourth in our series of posts from the North Country Charter Academy graduation Sunday. When I first started high school I realized that there were a lot of cliques, you have the nerds, jocks, geeks, Goths, and a group of people who didn’t care. I didn’t belong to a clique; I was that person who was friends with anyone as long as they had respect for others. When I was enrolled at Groveton High School, the school was not a bad school; it was the environment around me. I couldn’t concentrate on school and the only class that made any sense was math. My plan was to drop out when I turned 18, and then I realized if I dropped out of school I would have nothing in my future. two days later I started school here. I remembered that one of my friends was previously enrolled in the Charter Academy. I did some research and went to talk to my mom about my decision. The next day we were in the principal’ s office seeing what could be done. Within a few days, I had my meeting with the staff at NCCA; two days later I started school here. for people who need a second chance. The North Country Charter Academy is a great alternative school for people who need a second chance. I am very grateful for the second chance I got because now I have a bright future. I want to thank Mrs. Lavoie for giving me a chance and my teachers for encouraging and helping me to receive my diploma. I also wouldn’t have been able to achieve any of this without my family and close friends, but especially my mom; she attended every meeting and fought for me to get referred and enrolled at NCCA. I have no idea what I would do or where I would be without my mom. Congratulations to us, the class of 2014 ! ! ! I wish you all the best with your futures!!! By ANHPE in Charters in NH, Common Core on June 4, 2014 .